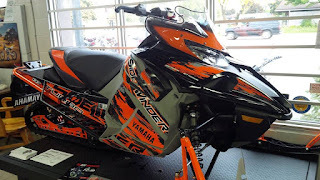 Be sure to see the new 2020 snowmobiles from Yamaha at the 2020 Manufactures Sneak Peek tour. Free admission and free parking to all shows make it easier than ever to attend. The show features new 2020 snowmobiles, snowmobile accessories and a chance talk to factory experts to get all the information on these new machines. If you have your questions, ask Kelly's Cycle Centre, we'll see you there! 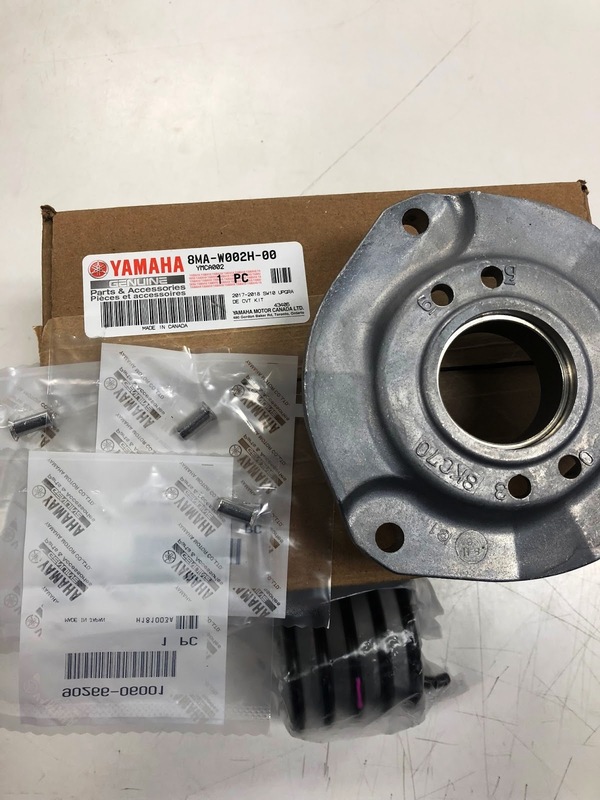 Yamaha has made a kit available which includes all parts for owners of 2017 and 2018 SideWinder models wishing to upgrade to 2019 SideWinder clutch specifications at a very reasonable cost. This kit does not apply to M-TX models. 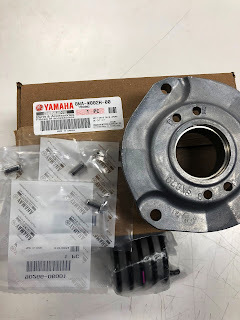 The Yamaha Sidewinder CVT Upgrade Kit includes Torque Cam (Helix), Outer weight Rivets & Secondary Spring. The kit is In stock and ships immediately. Contact us for more details or to schedule service on your SideWinder snowmobile. 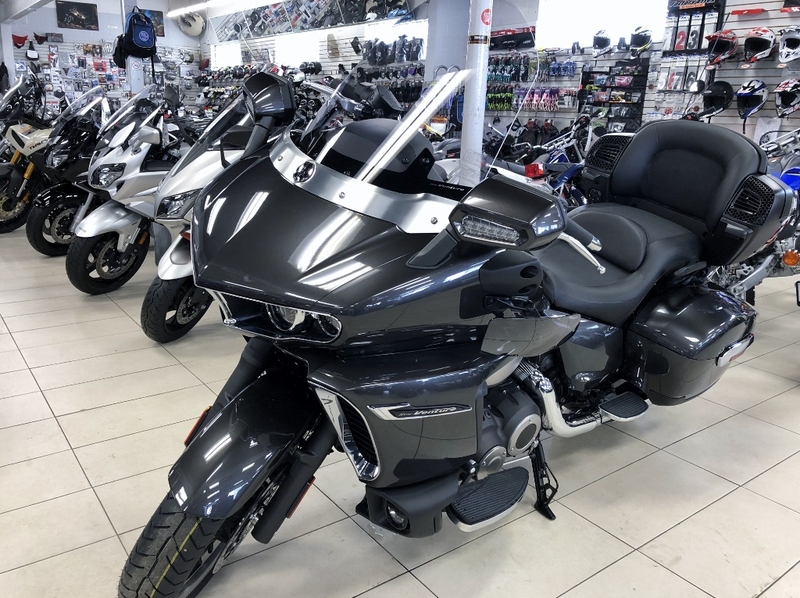 The Star Venture TC transcontinental touring motorcycle is now in our showroom in Granite Gray and Raspberry Metallic. The powerful 1,854 cc V-twin and 6-speed transmission with overdrive, delivers plenty of torque. 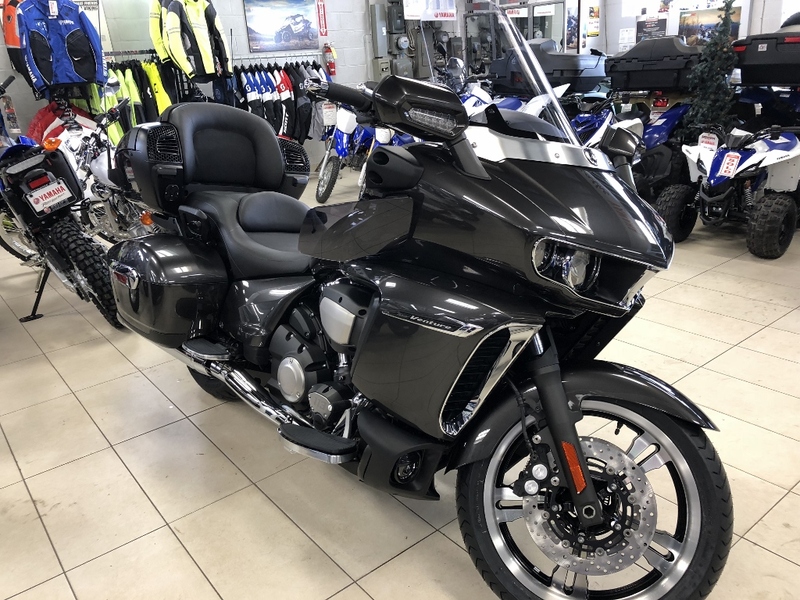 The elegant styling of the Star Venture TC with the dynamic front fairing, LED headlights, and high quality finishes makes it stand out amongst luxury tourers. Comes with 1-year factory warranty and 4-years of Yamaha Protection Plus. 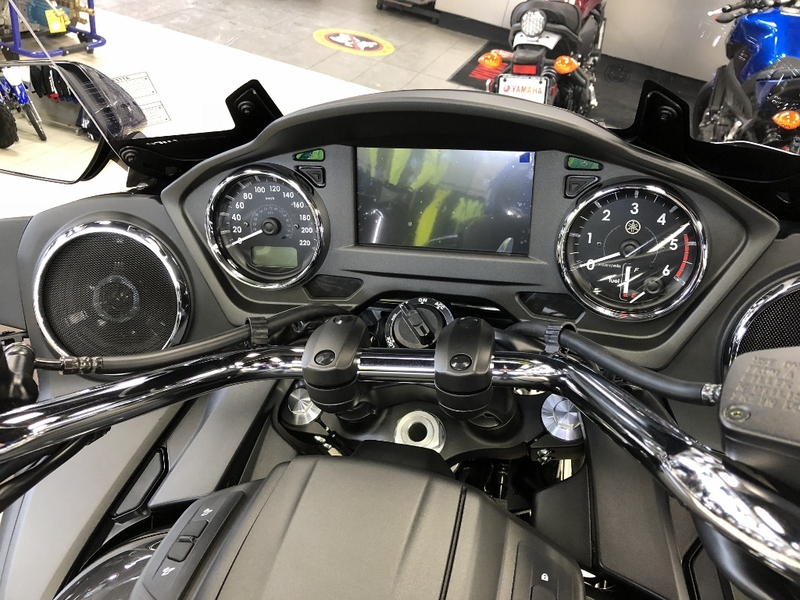 Enhanced features like traction control, ABS/UBS braking, user-friendly Smart Key technology, and Yamaha's all-new Sure-Park system makes moving the Star Venture TC convenient and hassle-free. Sure-Park employs an electric motor to slowly move the bike either forwards or backwards enabling precise maneuvering when parking. Contact us to see these models in person. Call: 905-385-5977 to book your ride. Ride is by appointment. Full riding gear is required for all riders and passengers. This includes a legal helmet, eye protection, jacket, gloves and boots. A valid motorcycle license. A full "M" license required to ride the following models: R6, R1 & MT-10. Models are subject to change. 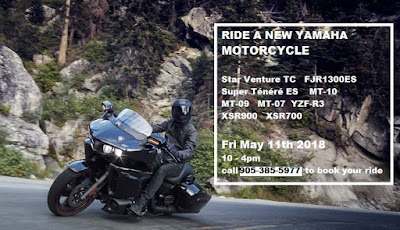 The Star Venture TC touring motorcycle has arrived. 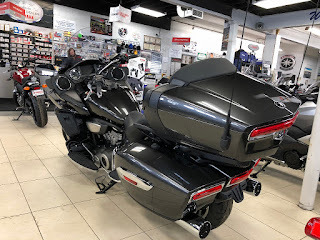 Here are a few photos from our showroom. This Star Venture is accessorized with lower fairing wind deflectors. Contact us to see this model in person. 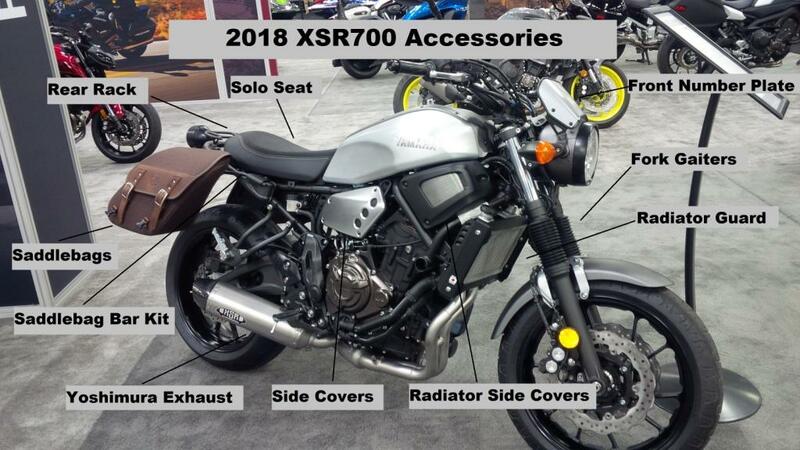 New this spring is the 2018 XSR700 retro motorcycle. Classic styling adds character to complement the performance of this naked sport bike. 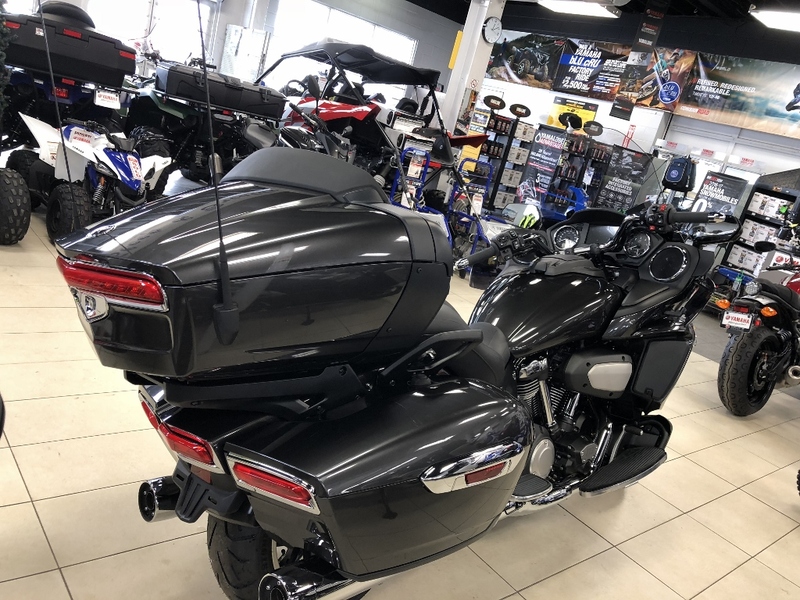 The ‘throwback’ treatment includes a sculpted, aluminum-shrouded tank with classic striping, a vintage-inspired round headlight, two-texture vintage-style leather seat and perforated side covers. An all-LCD instrument gauge provides a handsome modern contrast to the overall retro vibe. The Countdown to the Yamaha Star Touring model unveiling on Monday June 5th 7pm is on. 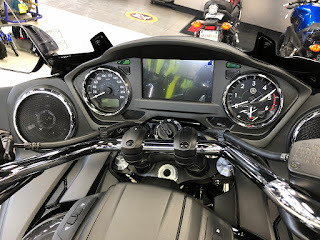 Yamaha talked to riders of the Royal Star, Stratoliner, Road Star, V-Star 1300 and other motorcycle touring models to build the latest touring road bike. Plenty of power, with great handling, comfortable for long days in the saddle. Comfort, easy power and great looks. 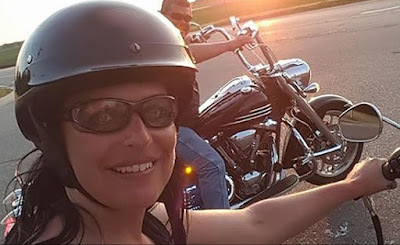 As a smaller guy I need a motorcycle that fits me great and is easy to have my wife ride with me which she often does. We love to ride together. First is the worry free riding, then the handling and power - oh yea and the endless stares. Join the journey, stop by the store for more details. 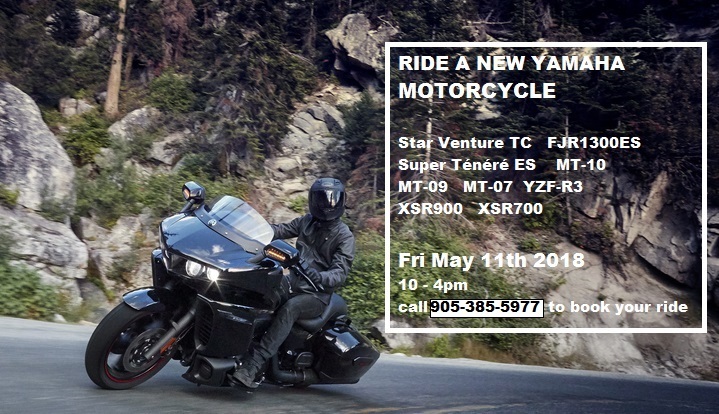 See the new Yamaha Star motorcycle on June 5th 7pm.